This release follows the band's largest growth and international impact over the last two years with the 2013 release of ZION. UNITED's notoriety increased with their No. 1 single "Oceans (Where Feet May Fail)" as it became a RIAA Platinum certified single. Read More When an artist reveals their album cover 95,000 feet from space they must really know that the album is out of this world. 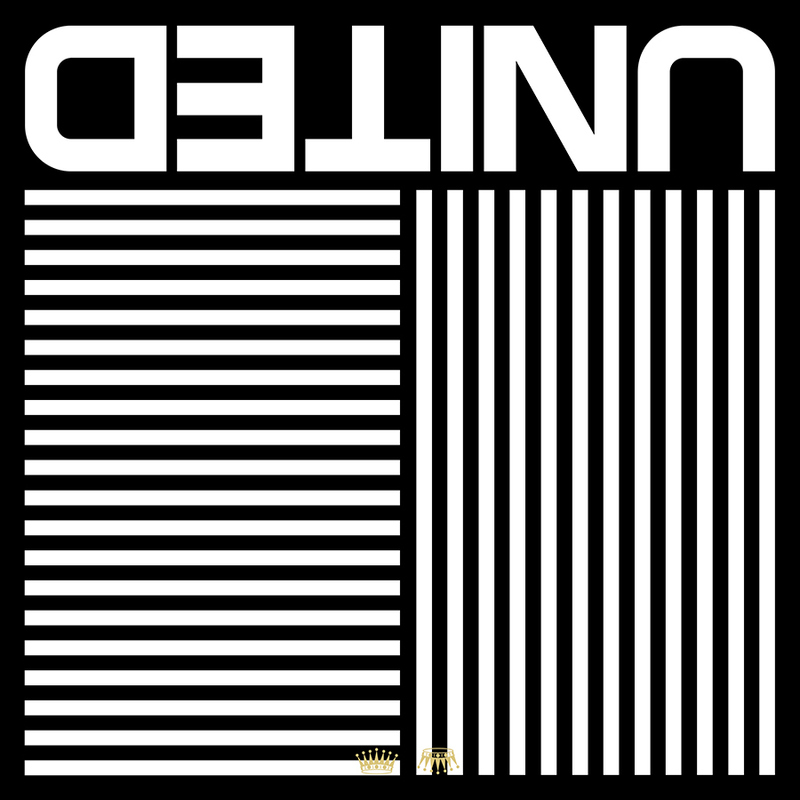 And for fans of Hillsong United this album 'Empires' is truly something else. In 2014, UNITED was award five GMA Dove Awards including the coveted Artist of the Year and Song of the Year for "Oceans." They were also nominated for their first American Music Award. Hillsong was included in 10 of Billboard's End of Year charts topping five of the charts: Top Christian Artists, Hot Christian Songs, Hot Christian Songs Artists, Christian Airplay Artists and Christian Digital Songs. The pressure must have been on when the band started working on this album. Thankfully that pressure doesn't show at all in the songs. The album opens with 'Here Now (Madness)' which opens with an atmospheric, even space like feel to it. On quick reflection, I would say this song falls musically in the same bracket as Zion. The stirring vocals poured over the creative atmospheric music just works on so many levels during this opening number. I love the soft vocals that whisper the words "Here now, spirit breathe like the wind come, have your way, 'cause I know you are in this place". Lyrically, as the title suggests, this song is all about the presence of God. I suggest that you put this song on loud, close your eyes and be drawn into the presence of God. The song takes its time, it's not to be rushed, but it grows into a really big anthem and as the intensity of the music builds, so does the atmosphere in the room. We move into 'Say The Word' which lifts the tempo of the music a little. This is still a creative atmospheric song, but the dance beats pull through a little bit more. The song has a lovely riff over an engaging dance beat. Again this song wants to take the listener on a journey, an emphatic journey at that. Hillsong United have really tried to produce an original creative album that doesn't just skim at being creative with the same old lyrics and melodies. This is an band that has spent time on the lyrics to engage and work with the creative sounds of the album. The way the words flow for the songs, like 'Heart Like Heaven is brilliant. The opening songs are all top notch and could easily fit into my list of standout tracks. One of my favorite lines of the album is a simple one but appears in the song 'Touch The Sky'. "I touch the sky, when my knees hit the ground". So simple, yet when sung in this song it really hit me. There is something so honest about that line. Touch The Sky is probably one of the more 'poppier' tracks on the album and I can see why this was the first single. What makes it such a standout song is it's theme, which is all about reaching God and His awesome power. Within the simplicity of the songs Street Called Mercy and When I Lost My Heart To You there are some lovely harmonies. These songs are both innovative and original. Please take time to dig deeper into the soul of these songs. They are the hidden gems of the album. The song 'Even When It Hurts (Praise Song)' is the most honest song on the album. This song is about praising God, "Even when it hurts like hell, I'll praise you". The words and lyrics are all about digging into the gut wrenching side of worshipping God. When you have moments where worshipping God is the hardest thing to do, put this song on, it deals with this topic with some raw and honest sounds. For the very first time we hear (just about on its own) an acoustic guitar and the vocals of Joel Houston on the song Prince of Peace. This song has a darker, haunting edge to it that we haven't necessarily heard on the album so far. Yet in the darkness of the song there is a real sense of 'light'. This song is one of those 'beauty in the darkness' kind of songs. When you start playing the title track of any album the expectancy level always seems to rise. Empires is a track I already had high hopes for. This is a solid song that grows with each listen, but I felt it was trying a bit too hard to be the big anthem that it's not ready to be. Creatively, as always with this album, you have to give this synth led track top marks. Rule is the most 'Zion' esq track on the album. This song falls into the techno dance beat that some of the songs on the previous album definitely fell into. Captain is a clean simple piano led intimate song, I'm surprised this song isn't further up the track listing of the album itself. The album ends with the most elegant song I have heard in a very long time. Closer Than You Know is such a simple love song, but within that simplicity is a song that is wrapped in the heart of Jesus. This song captures what Hillsong United are all about. Heartfelt worship to Jesus. Sadly the worldly mentality these days is all about 'me'. Yet in all of this we have a God that is so close to each and every single one of us, and in the same breathe we have the same God who is big and powerful. How can you even explain that in text, music, lyrics sound and melodies? Empires tries to capture both sides of God. No easy task, yet it does it so well. One moment you have songs that make you feel like God is with you, and then the next song you are drawn closer to the vast majesty of our authoritative great big God. It's during those songs that you have to take a step back and remember how awesome our King is. Hillsong United have taken the sound they produced on their last album Zion and moved it to the next level. Musically it hasn't moved very far away from the sound and format that worked so well on Zion, yet Empires has a cleaner, fresher feel to it. But we all know this album is about more than just the music. This is about something much bigger. What Hillsong United have done is create a bunch of songs that take the listener on a journey of awestruck worship to the awesome God we have. Superb. Hillsong United Reveal New Album 'Empires' In Space!